Buddha Bowls: trending term, used interchangeably to describe any bowl filled with nourishing plant-based foods. Well, at least that is our definition. 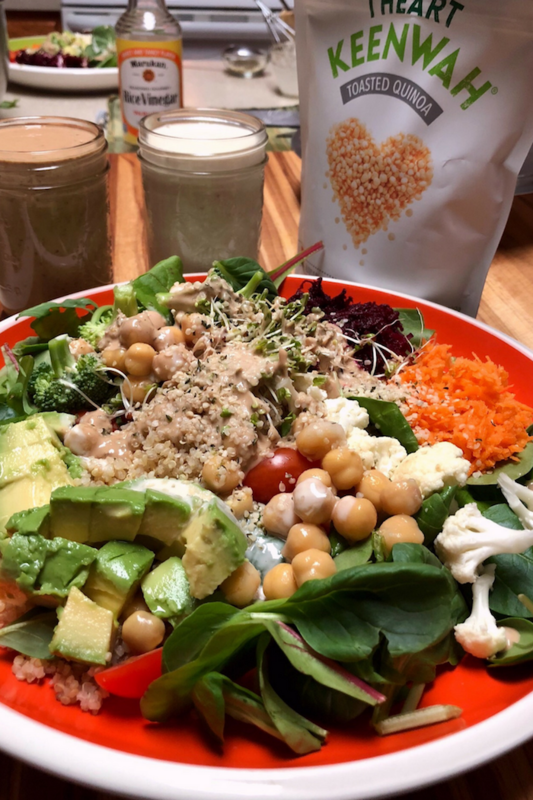 We love the VegInspired Buddha Bowl which we fill with grains, greens, fresh veggies, beans (mostly chickpeas), and then drizzle on a healthy and delicious sauce. Here are 3 sauces we like; the Carrot Miso is my fave! 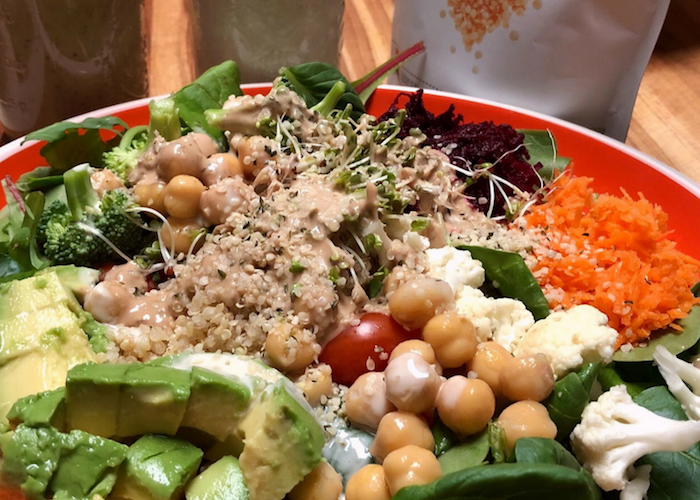 Let’s get to it… here is the VegInspired method – How to Prep the BEST Vegan Buddha Bowl. Want to watch it in a video? 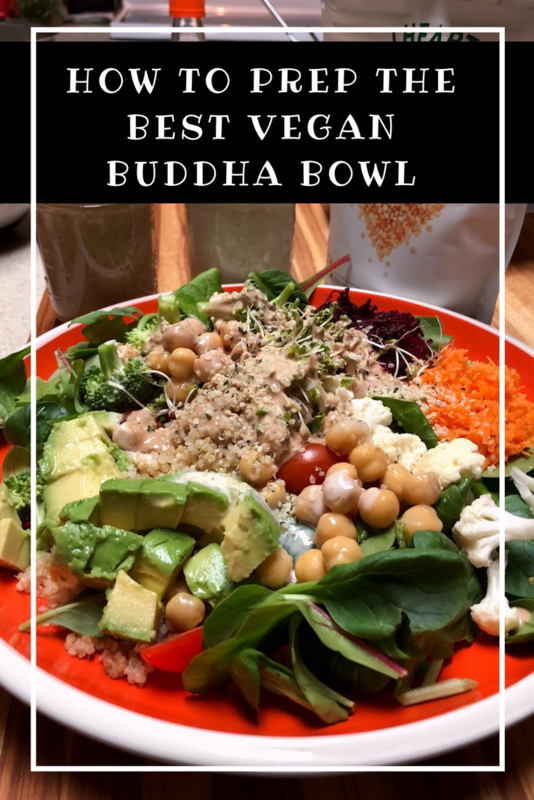 Buddha Bowls are one of my top recommendations for new vegans or folks looking for a quick plant-based go-to dish because there are so many variations. 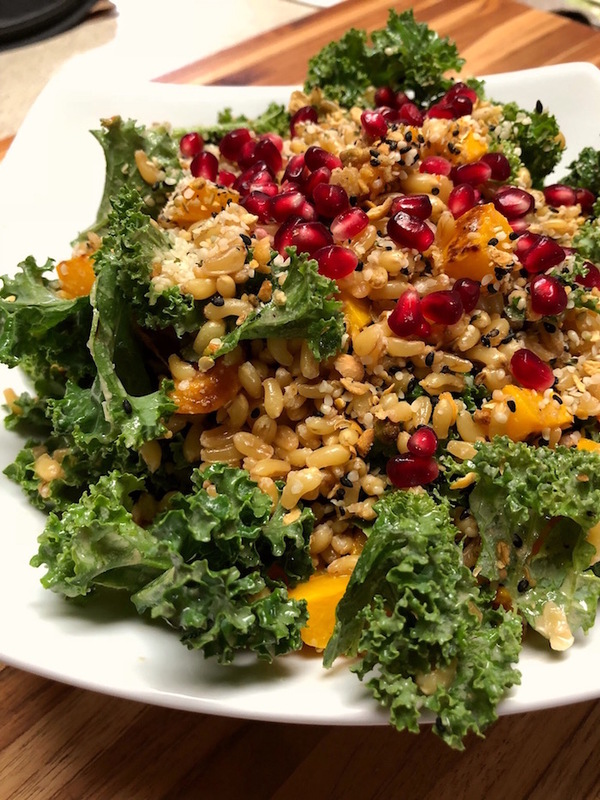 If you follow us on Instagram (@veginspired or @veginspiredchef), you will see that we toss just about anything on a bed of grains and grains and voilà … a Buddha Bowl. We’ve made Burger Buddha Bowls, Taco Bowls (I mean, that is a buddha bowl- by my definition of grains, greens, veggies, beans, and sauce – right?! ); so many variations! It’s pretty easy if you ask me. Batch cook some grains (or if you aren’t a fan of reheating just cook enough for one night). 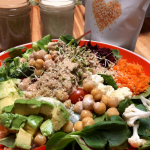 We love the Toasted Quinoa from I Heart Keewah. Chop your favorite vegetables. 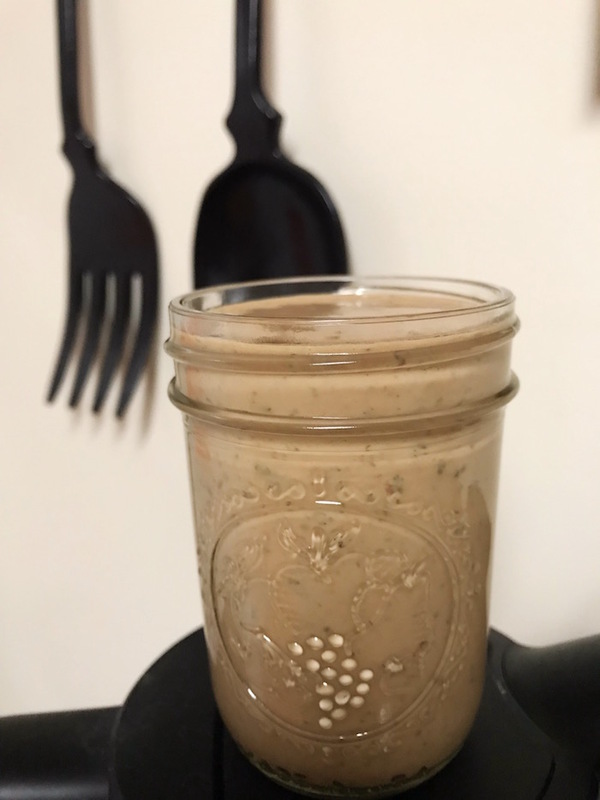 Open and rinse a can of beans (we prefer chickpeas), and blend up a sauce (either whisk it, stick blender it, or grab your trusty blender!) The prepping is the key. 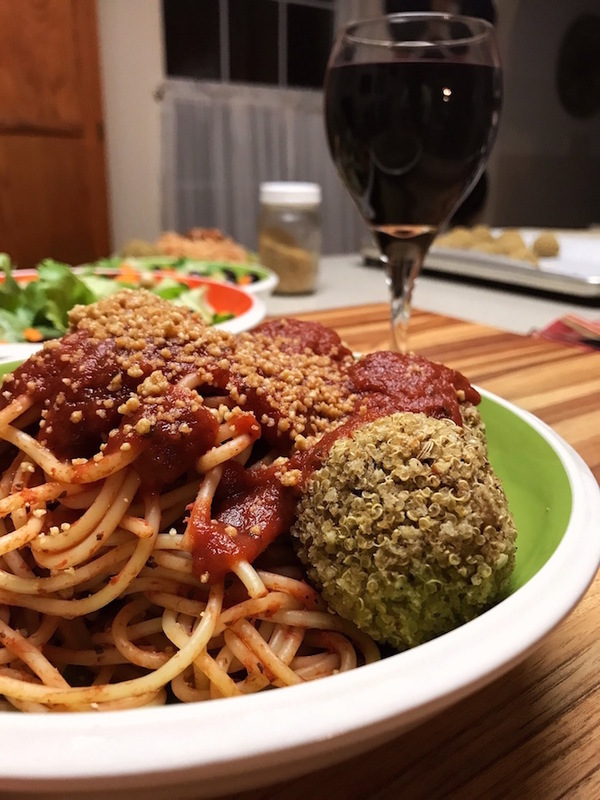 Once everything is ready, you assemble, drizzle that sauce, grab a fork, and dinner is served! Easy Peasy! Since assembling the Buddha Bowls is so easy, we wanted to throw in a Pro Tip for batch cooking your grains! We love to have cooked grains on hand. Once they are prepped, we can divide the grains into to-go containers for a grab and go lunch. Here is a proven mathematical equation to ensure perfectly textured, batch cooked grains, every time. On each package of grains, there is water to grain ratio for cooking. 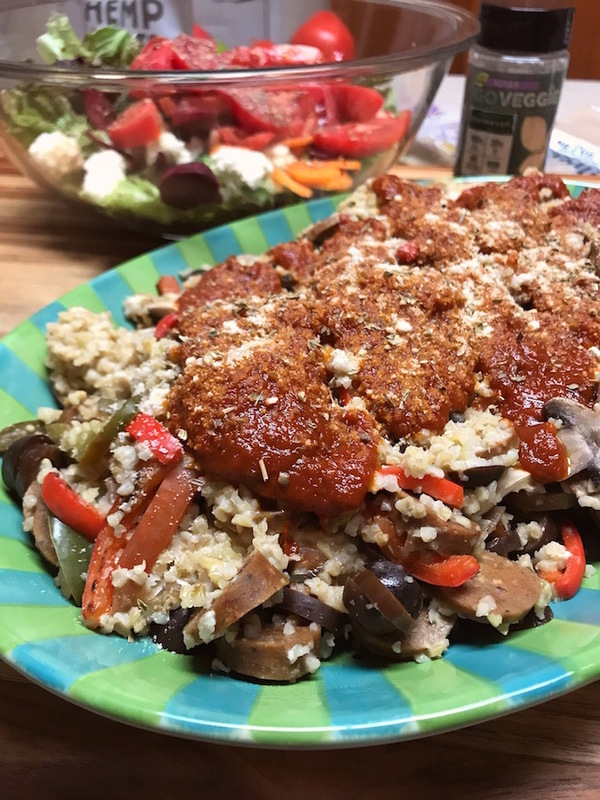 When batch cooking, you do not want to keep the same grain to water ratio when increasing the grain amount, since grains only absorb about an equal amount of water. So how do you increase the water? Let’s use a little math. First choose how many cups of the grain you want to cook, add an equal amount of water, and then add the “extra” water on the package instructions by subtracting the water and grains. If the grain you are cooking says 1 cup of grain to 3 cups of water, and you want to cook 3 cups of grain; here’s what you do. 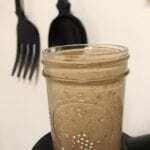 (1) Start with equal parts grains to water. (2) Math – subtract the grain amount from the water amount on the package instructions; 3 cups grain minus 1 cup water leaves you with 2 cups water. In this example, your additional water would be 2 cups of water – so that would be 5 cups total water to cook 3 cups of grains. It takes a minute to wrap your brain around it, but once you do, this mathematical equation will yield the perfect ratio every time. 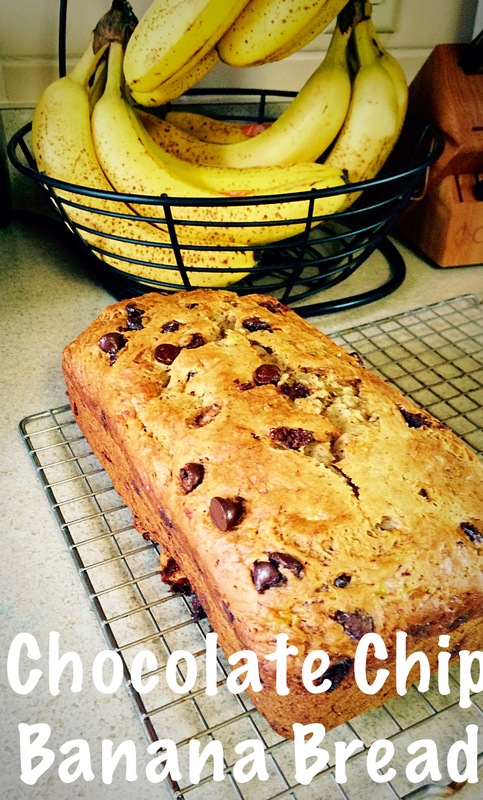 We know because we’ve tried it with a bunch of grains! 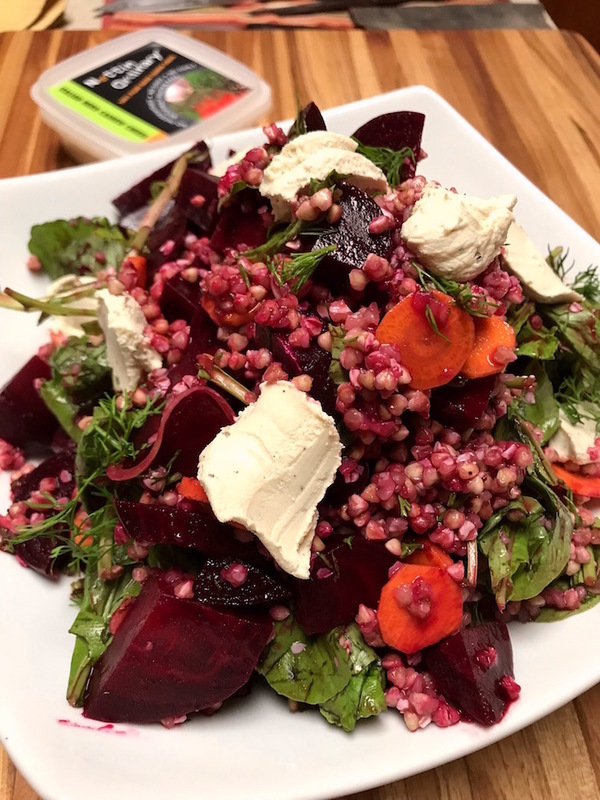 We are loving trying out these new grains, have you checked out our grain recipes? load up your plate/bowl with grains and greens and top with additional veggies, extra points for creative layout. You can never have enough scrumptious, healthy sauces for your Buddha Bowls. We are huge fans of chopping, shredding, slicing, and all-out pre-prepping the vegetables for these Buddha Bowls. It makes it lovely to have a “salad bar” style refrigerator that you can pick and choose. For lunches, we take a container of our grains to warm up and then a container of all the veggies (salad style). Once the grains are heated, we put them together, drizzle on the vinegar and sauce and dive in. 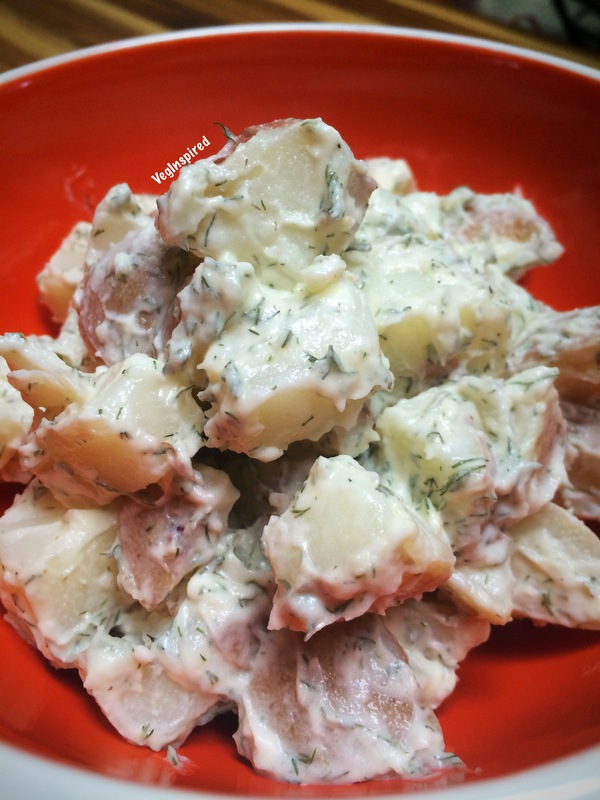 Healthy, quick, and flavorful! These colorful bowls are sure to make your coworkers jealous, you satiated, and you out the door in a jiffy! Don’t want to eat all this gorgeousness with a fork? Grab some tortillas and turn your Buddha Bowl into a wrap. Haha! Bet you didn’t see that coming. The variety and variations of these VegInspired Buddha Bowls are endless. The objective here is to Eat More Plants, a variety of plants, and eat enough calories and food to keep you full and nourished. So grab your favorite bowl, grains, greens, veggies, and sauce and get chomping! Until next time! 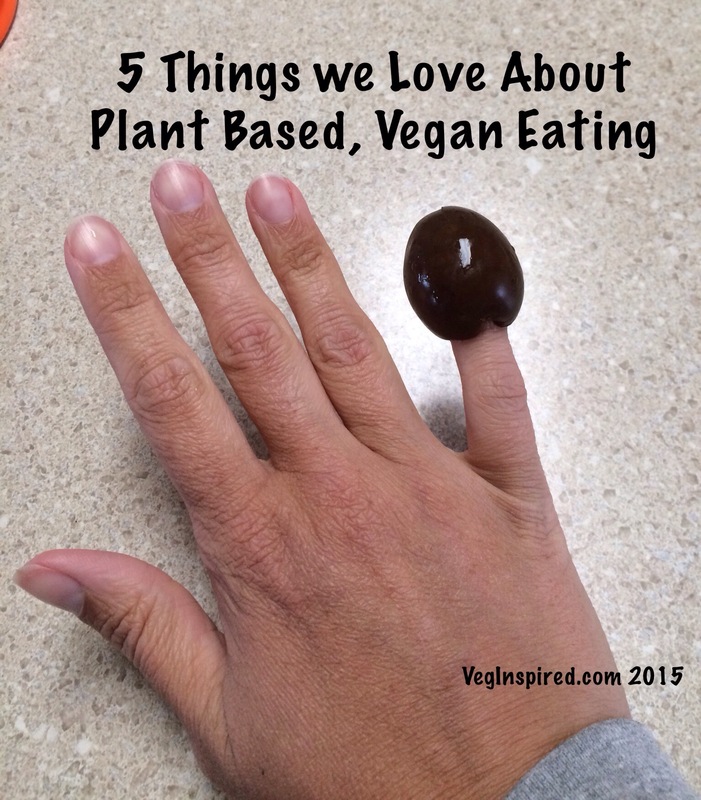 Eat more Plants and Live VegInspired! 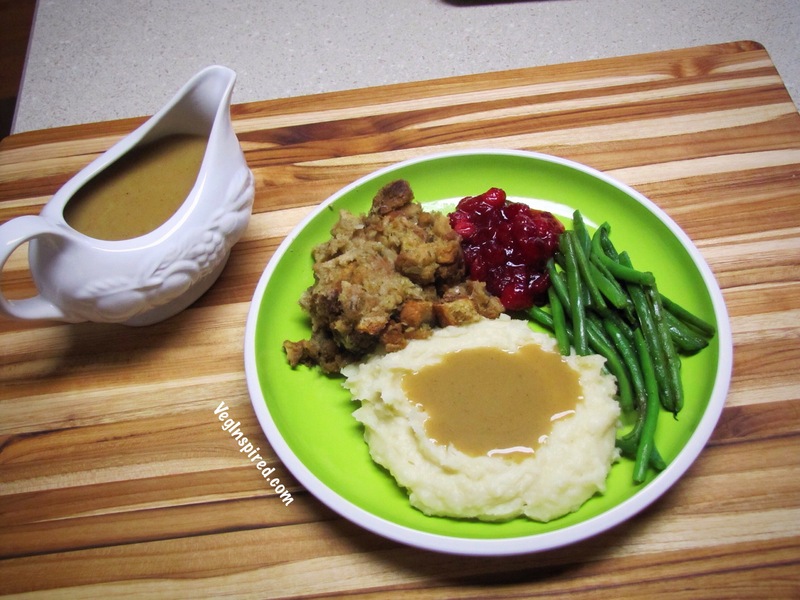 In this recipe, we used I Heart Keenwah (watch the youtube video for more info), which was sent to us free of charge for use in our kitchen with no obligations. In review, the toasted quinoa from I Heart Keenwah cooked up perfectly, and the toasted flavor stood out deliciously in these bowls. I would recommend (without reservations) you give I Heart Keenwah a try.